I’ve installed the update but haven’t spent enough time with it yet to comment much – except to say the app looks sharper than ever on the iPad. This is one of my most favorite writing apps and one of our selections for The Best iPad Apps of 2012. 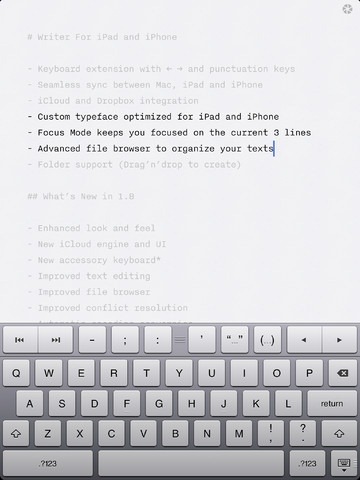 Here’s an App Store link for iA Writer; it’s priced at $0.99 and is a universal app designed to run on both iPad and iPhone. So… um… where’s the App Store link now? Doh! My bad – added the link now.